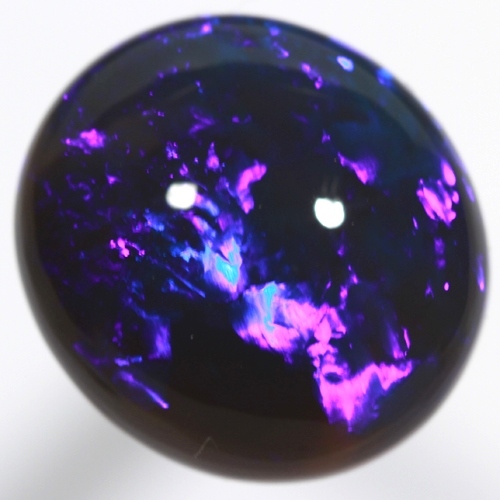 This SOLID BLACK CRYSTAL Opal is from the Lightning Ridge mining fields in Australia. The fire in this opal is of the richest electric royal blue. Having several colour patches, the electrifying colours move in rolling flashes across each colour patch. Continuous play-of-colour at every angle, beautiful electric blue and ultra violet glows all of the time.